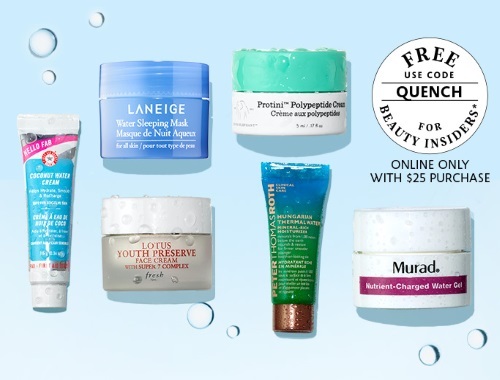 Don't leave your skin thirsty, get a Free trial-size hydrator to get your skin glowing from Sephora! Free with any online order of $25 or more. Enter the promo code QUENCH at checkout. Offer valid while quantities last. Also get 2x the Beauty Insider points with any skincare purchases until January 22, 2018.